The Beauty in the Desert Book Series Stories of Inspiration, Redemption, and the Unfailing Love of God "He reached down from on high and took hold of me; He drew me out of deep waters. He rescued me from my powerful enemy, from my foes who were too strong for me. "-Psalm 18:16-17 Every girl dreams of her knight in shining armor coming to her rescue. 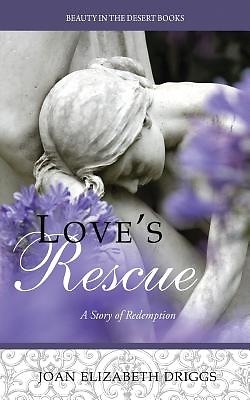 Some wait a lifetime, only to find that life doesn't always turn out like the fairy tale... Love's Rescue goes beyond the fairy tale, inviting you to experience a Divine rescue. It is one woman's journey and timely encounter with grace. This powerful story of redemption will send a message of hope to every longing heart. Draw near...stand face to face with the love that rescues and let Him carry you over the threshold to freedom. The Beauty in the Desert Series unlocks timeless love stories of the women in the Bible, awakening the voices of God's daughters then and now. Their lives are powerful epistles that speak clearly of the Lord's unfailing love for all women.